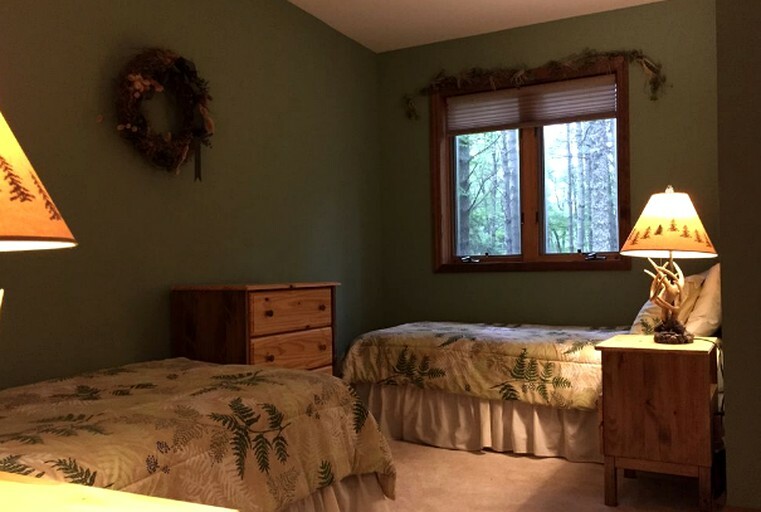 Privately located, this secluded cabin rental is located in Paul Smiths, New York, in the Adirondack Mountains near Saranac Lake—perfect for an Upstate getaway. Comprised of 2,100 square feet, the cabin comes with two bathrooms, three bedrooms, and is suited for eight people for a minimum of two nights. With amenities such as TV, washing machine, a propane grill and picnic table in a screened porch, a gas grill, a 500-foot deep well filled with the freshest, tastiest mountain water, and more. With a fully-equipped kitchen, complete with a microwave, electric oven, and a dishwasher, this glamping cabin has everything for the perfect getaway. 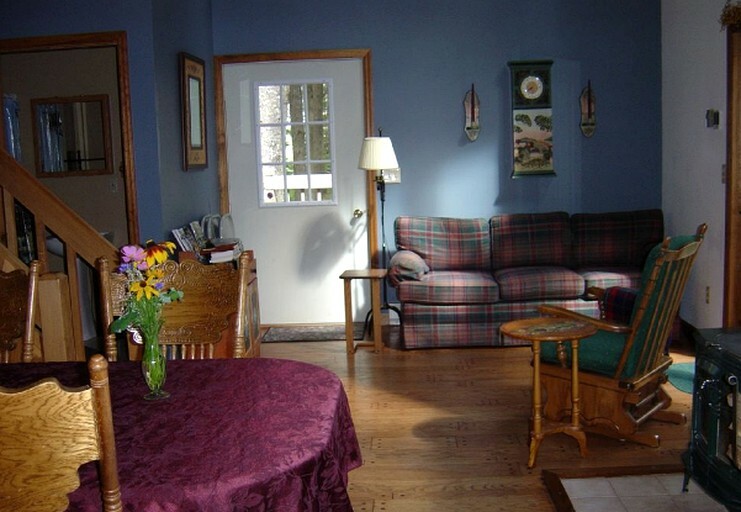 The cabin also has a living room, wireless internet, TV, washing machine/dryer, grill, campfire area (firewood provided), glass front woodstove, DVD player, dining tables and a many indoor amenities. Outside, aside from the deck with a propane grill and picnic table in a screened porch, there is a 500-foot deep well fill with the freshest, tastiest mountain water. 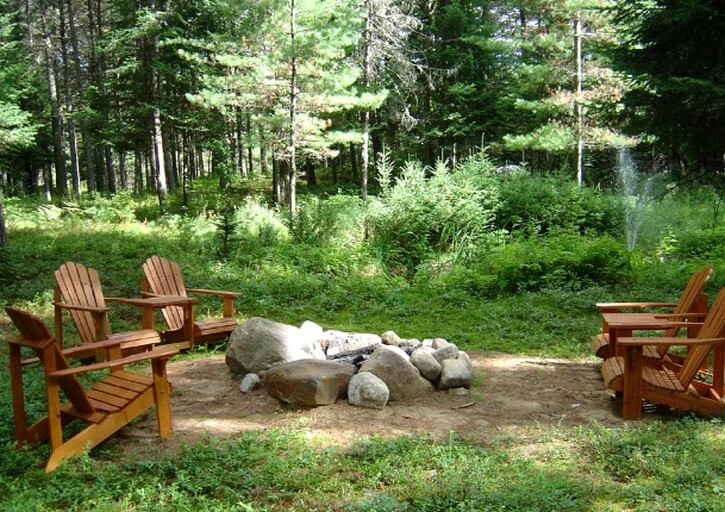 Firegaze by a cozy campfire spot by the cabin or spend the evenings grilling with the available gas barbecue. The cabin also comes with a lean-to atop a sledding hill where you can sit around a campfire and drink hot cocoa while your family and friends sled. 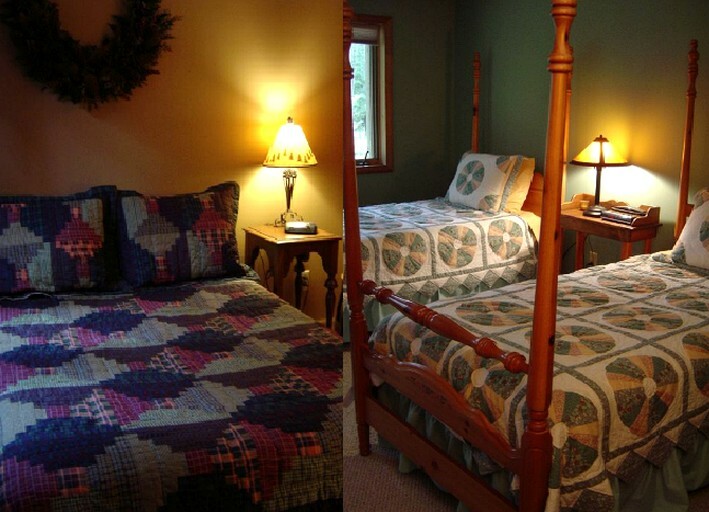 If guests are looking for a quiet, private getaway, this 33-acre property is just the place! 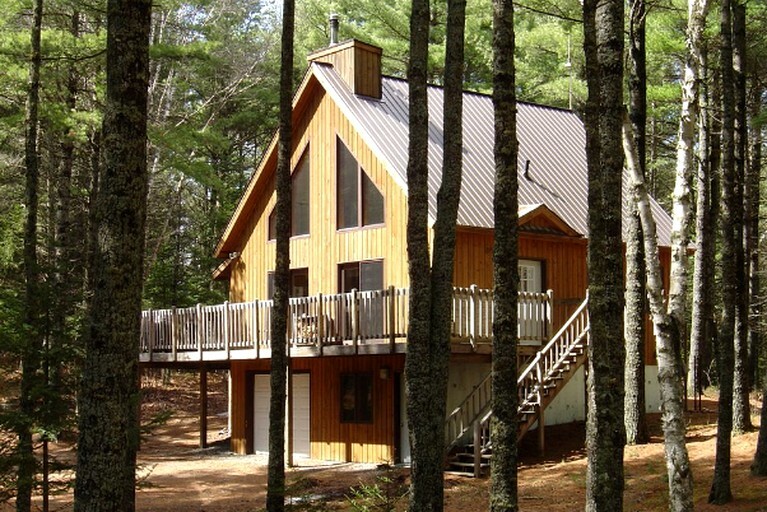 This secluded cabin is situated in the Adirondacks region of Paul Smiths, New York. 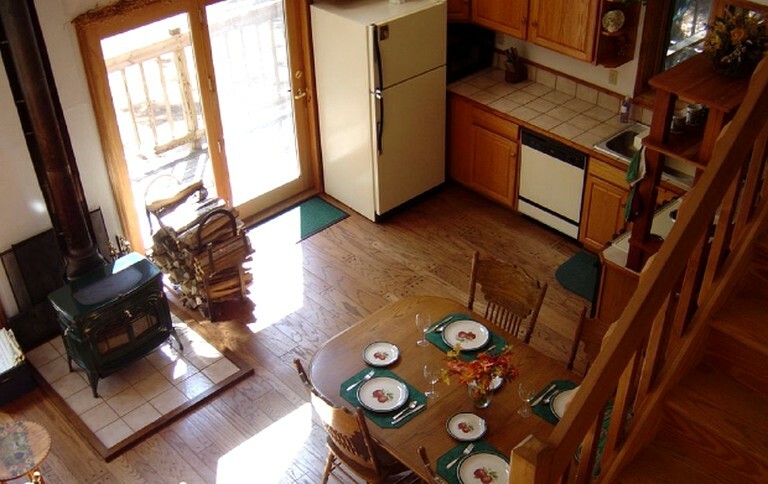 The cabin is surrounded by wildlife, lakes, mountains and trails, which makes it perfect for a nature getaway. 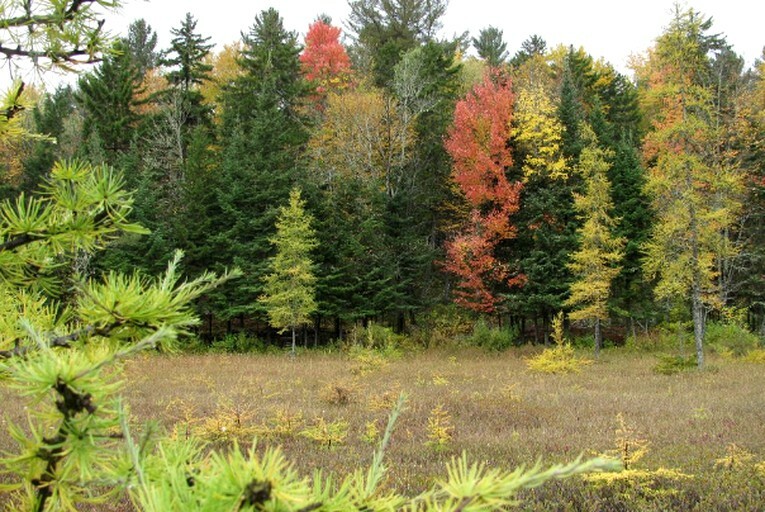 There are over five miles of hiking, cross-country skiing, snowshoeing, and mountain biking from right out the front door. 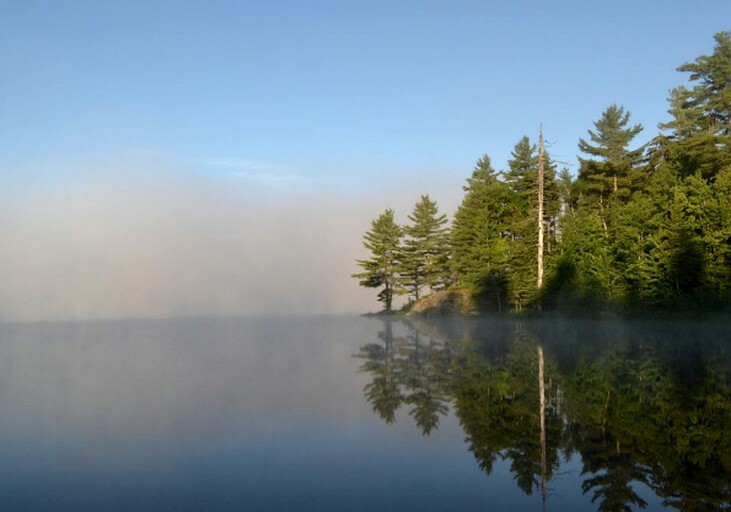 Enjoy a day of adventure on the surrounding lakes and trails and come home to drinks around an evening campfire. 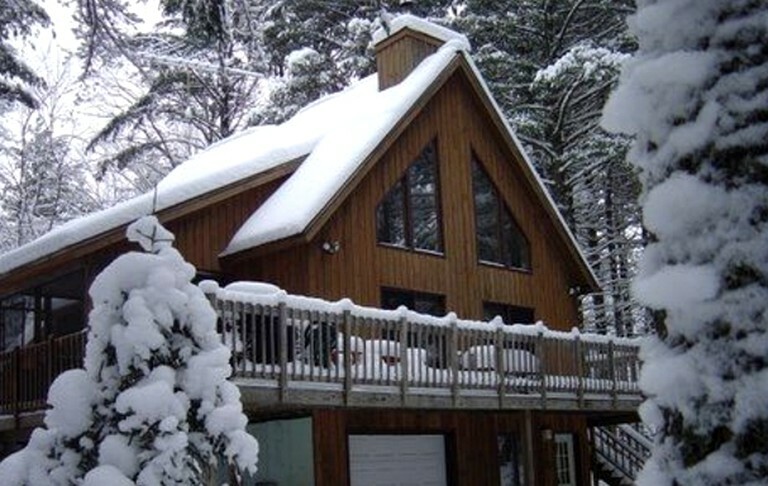 The Titus Mountain Ski Center is only 30 minutes away and a good spot for family skiing, or enjoy a private cross-country skiing day right on the glamping site. 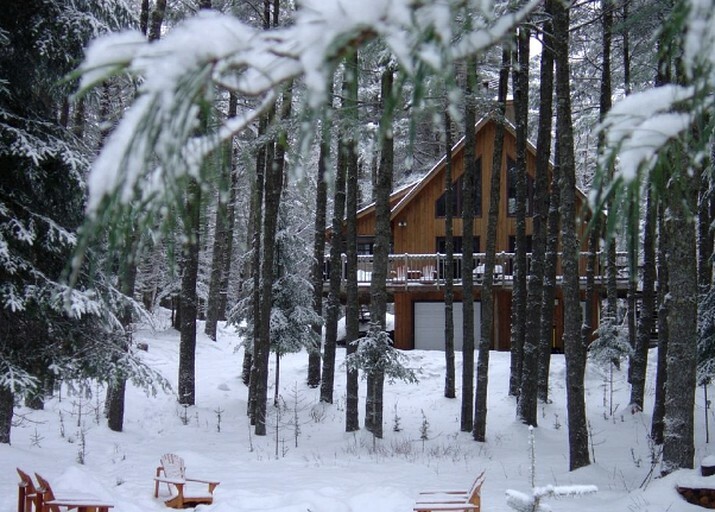 With this cabin secluded in the Adirondacks, this glamping site is right in the middle of some of the most dependable snow for cross-country skiing, which makes skiing and snowshoeing one of the must-do activities on the site. There are many trails right on the site for hiking and biking. 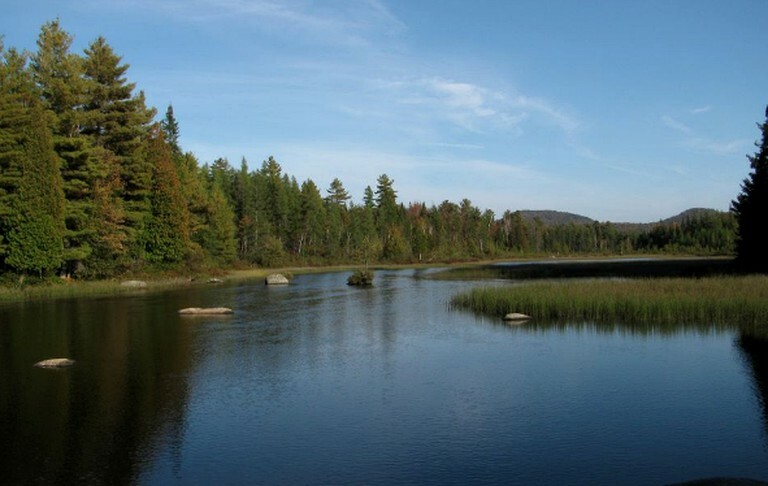 Spend the day sightseeing, shopping, and restauranteering in Saranac Lake or Lake Placid. 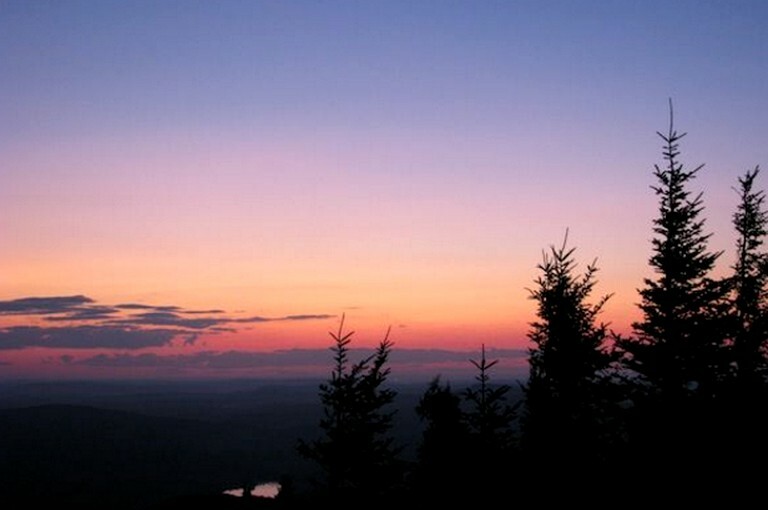 Lake Placid and its Olympic venues are only 35 minutes away. Whiteface ski mountain is just 50 minutes away. Spend the day adventuring, then come back to your own private paradise in the evening, or...if peace and quiet is what guests are looking for, they may just never want to leave the property! 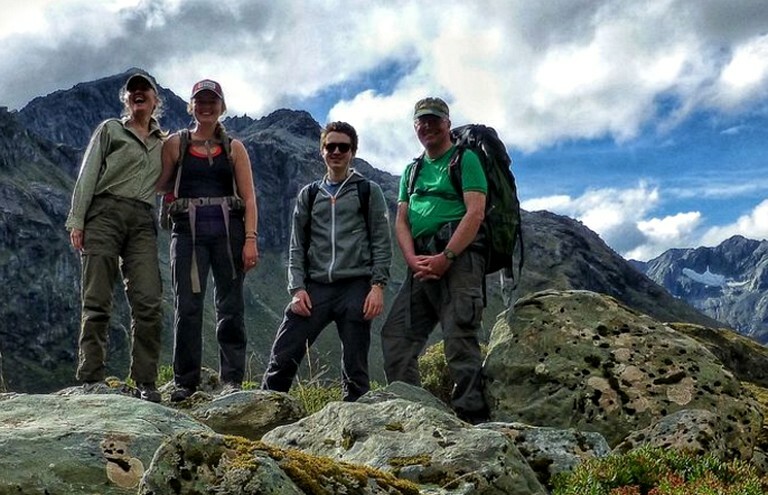 There are more activities to be done by the cabin such as wildlife viewing, horseback riding, swimming, kayaking, mountaineering, sailing, fishing, snowboarding and more. Other activities to enjoy include an evening at the live theater and health/beauty spa near the site. 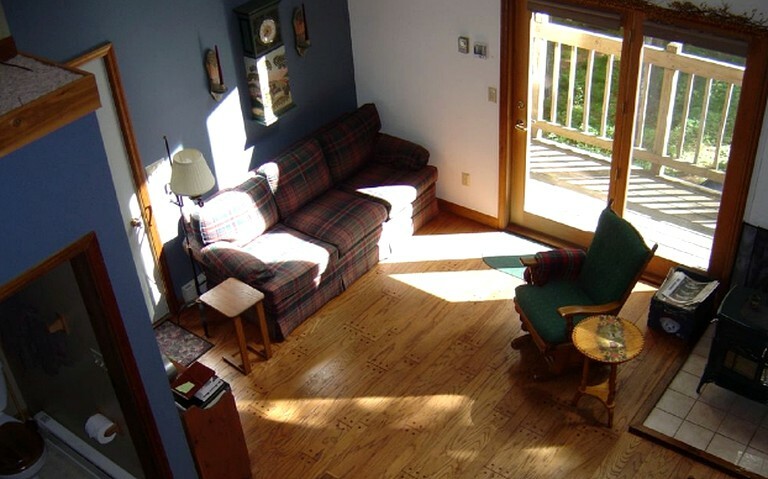 This cabin is not pet-friendly and is non-smoking (33 acres to smoke outside the cabin). Additionally, there's a $500 refundable security deposit. 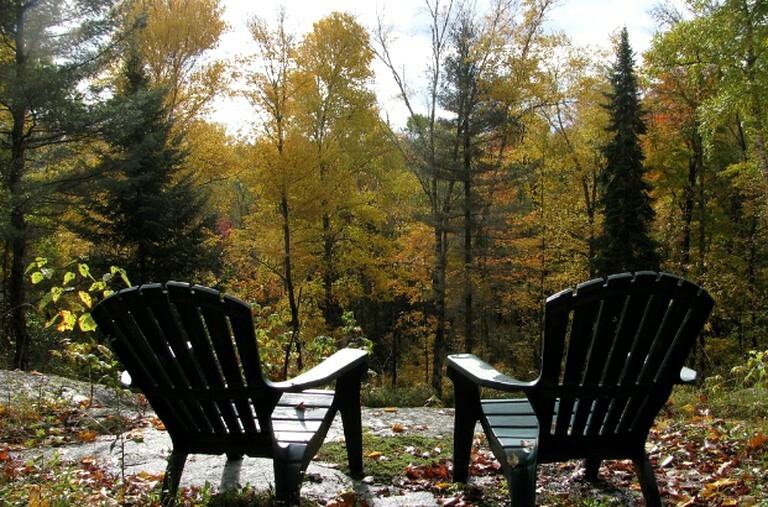 For total seclusion away from technology, the host will remove the internet and TV at guests' request.